13 1/2" X 19" serigraph print--contemporary design. This design, along with Bryce Canyon, was our most complex (and trying) effort. 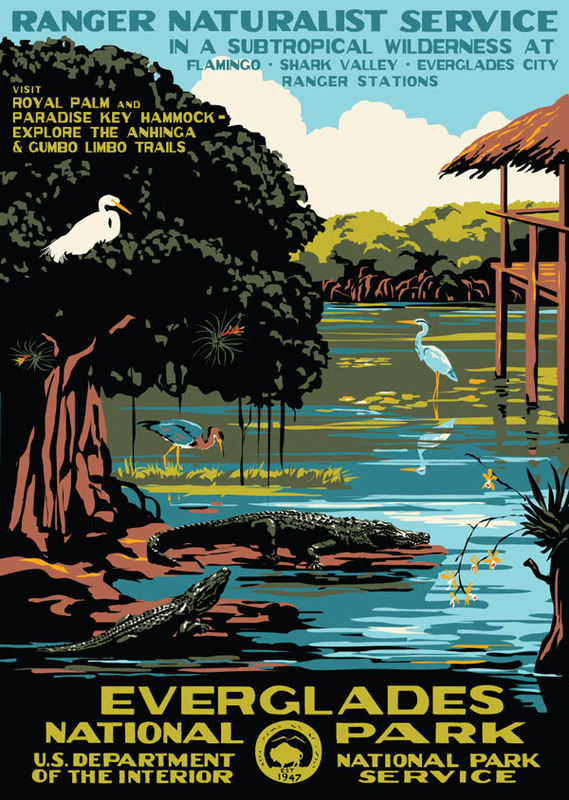 The many depicted birds and alligators are not a caricature of this park, but portray what is actually seen when walking the Anhinga or Gumbo Limbo trails. 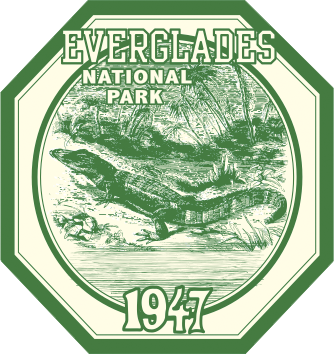 If you visit this park, you will want this print--Everglades is truly an amazing park.